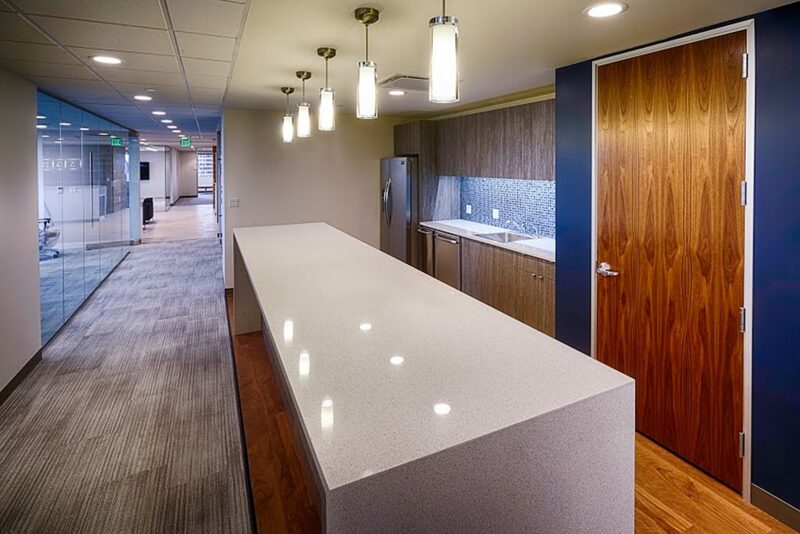 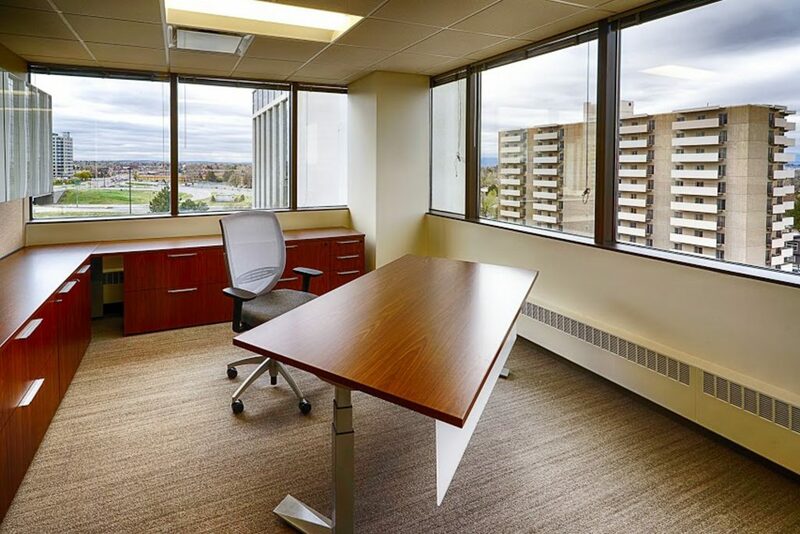 VERTEX was selected as the General Contractor on a large, multi-floor Tenant Improvement project for a distinguished law firm located in the Denver Metro area. 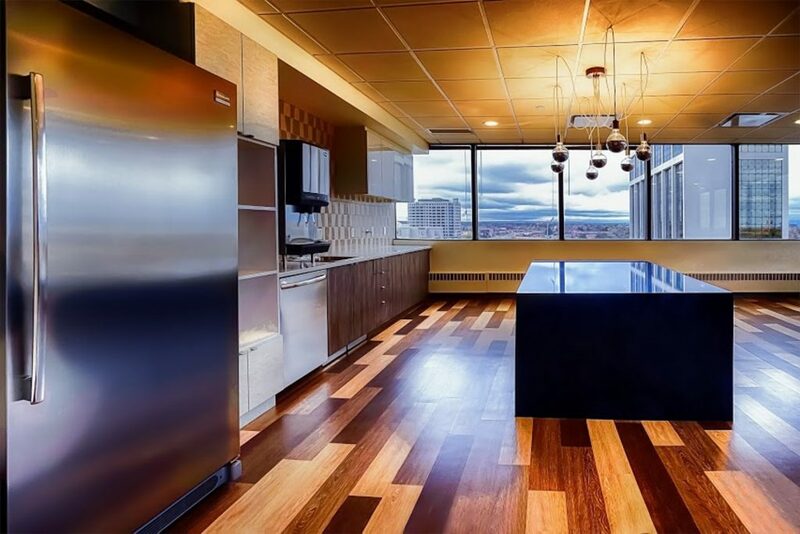 The build-out spanned over 17,000 SF, and the high-end finish packages pushed the price per square foot well above $50/SF. 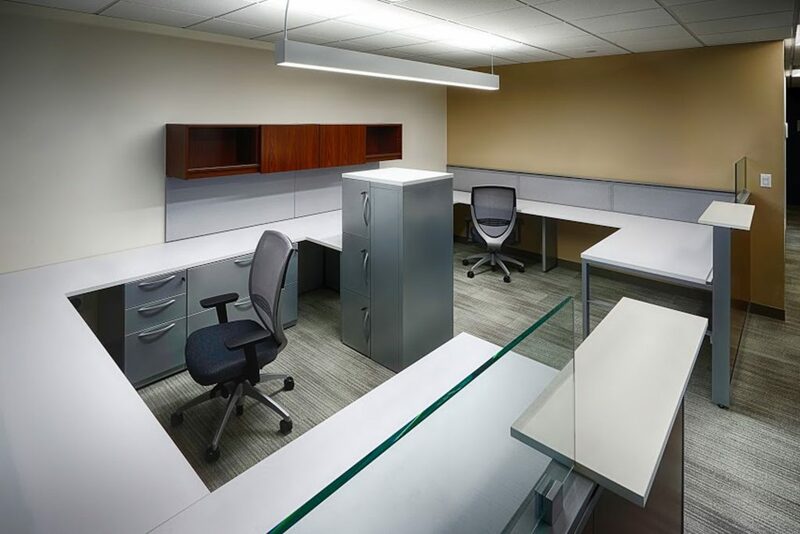 A project of this finish level required constant coordination between design team, tenant, suppliers, building management, etc. 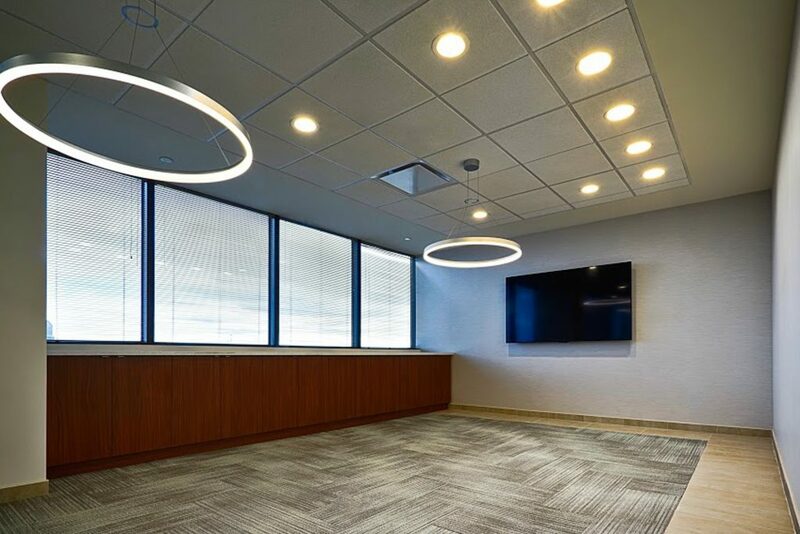 With a vibrant, contemporary design concept by Acquilano Leslie, the floor plan included conference rooms, kitchens, reception/lobby, file/copy, wellness rooms and communications closets. 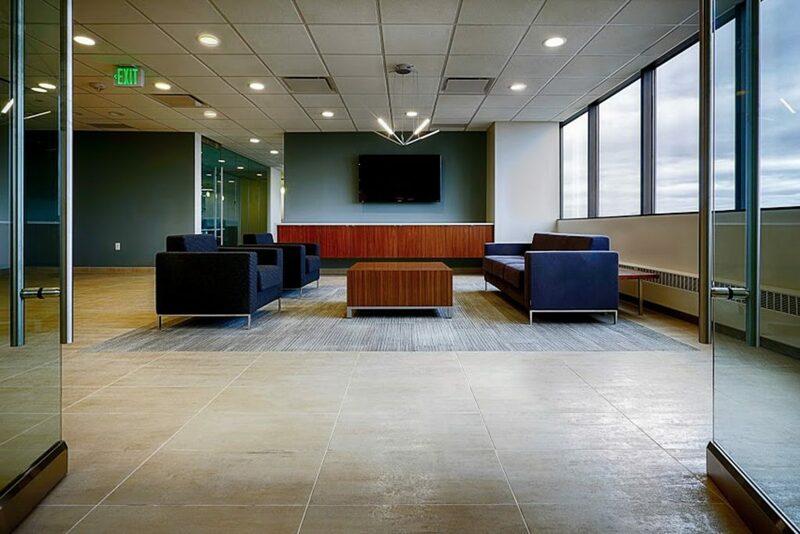 The final product is a sight to see with cutting edge features in the main lobby where guests are greeted directly off the elevator with a gorgeous reception area including: LED backlit signage, custom wood slat walls with a hidden door coat closet, a floating island, and a folding partition table in the conference room. 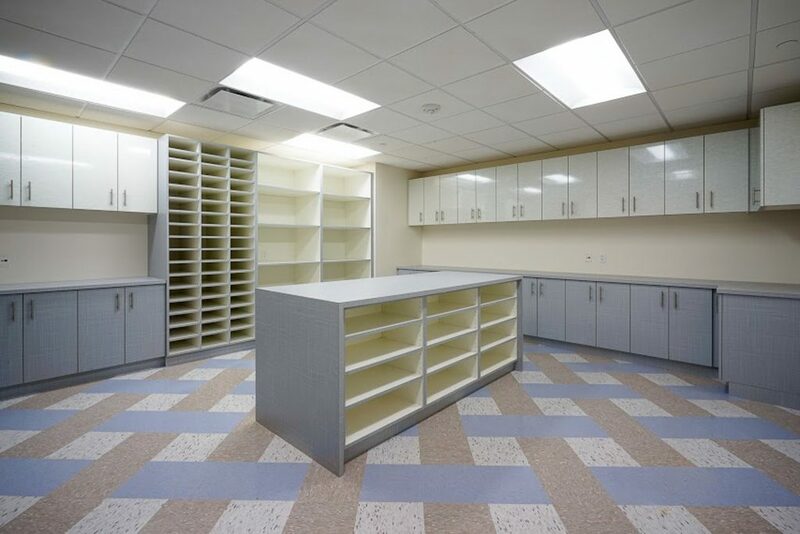 VERTEX was given a 12-week time frame on this project and finished on time and within budget.